The Toast++ package doesn't contain mesh generators except for producing simple test meshes, such as cubes and spheres. 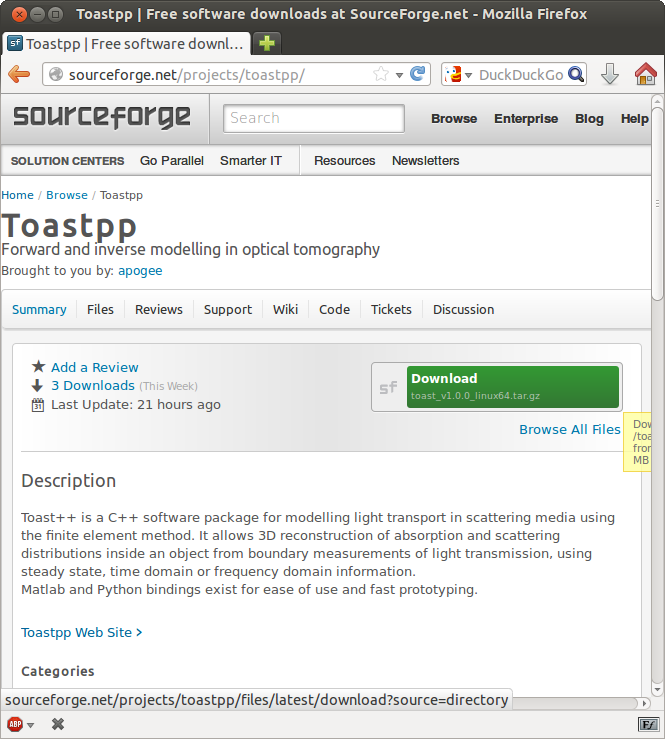 In general, users will generate meshes with a generator of their choice and then import them into toast, for example with the toastMakeMesh function of the MATLAB interface. Below is a non-exhaustive list of links to free mesh generators. CGAL: Computational Geometry Algorithms Library. An open-source C++ library containing various algorithms for mesh generation. TetGen: A Quality Tetrahedral Mesh Generator and a 3D Delauny Triangulator. Generates tetrahedral meshes of any 3D polyhedral domain. Iso2Mesh: A 3D surface and volumetric mesh generator for MATLAB/Octave. Generates tetrahedral meshes from surfaces and volumetric images. Gmsh: A three-dimensional finite element mesh generator with built-in pre-and post-processing facilities. Meshing tool with parametric input and advanced visualisation capabilities. NETGEN: Open-source multi-platform C++ project for 2D and 3D mesh generation. Stand-alone GUI program and C++ library for linking to other applications. SuperLU: LU solver routines for sparse matrices. ILUPACK: Multilevel ILU preconditioners for real and complex matrices. libLBFGS: A library of Limited-memory Broyden-Fletcher-Goldfarb-Shanno (L-BFGS). 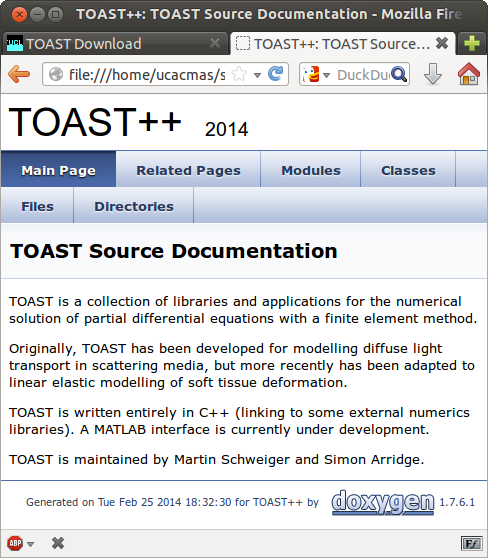 Mesa 3D: The Mesa 3D Graphics Library is required if you want to compile the fluorescence module (fDOT) of Toast. Mesa provides the code for the projection routines.